Goreslavsky and Rosoboronexport stressed that for India, Russia is an attractive partner, being the most open when it comes technology transfers. Russia is keen to sell its comprehensive security system, combining individual and ‘Secure City’ aspects, to Indian defence and law enforcement establishments. Sergey Goreslavsky of Rosoboronexport said Russia’ “open” partnership policy gave it an advantage in defence collaboration with India. Russia’s representation at the just concluded Defexpo India 2016 was the largest numerically, with over 60 companies and more than 500 defence professionals presented. They displayed their latest innovations and universally well-known arms and military equipment. Sergey Goreslavsky Deputy General Director of Rosoboronexport, said this reflected the fact that India was, is, and will remain Russia’s main strategic partner in the sphere of military-technical cooperation. While prospects of Russia expanding its presence in the Indian defence arena are growing, Russia’s competitors are pushing to strengthen their position here, but, according to Goreslavsky, “no one (in Russia) is losing sleep over this”. About the question of whether Russia is losing market share in India, there is only one answer, Goreslavsky said, “no, we are not losing it. I will say more than that; there are reasons to expect that Russian technologies will be expanding here even more in the future,” said Goreslavsky. During the exposition, Rosoboronexport actively worked with Indian partner companies and with representatives of the Defence Ministry, including the minister himself, to work on implementation of tasks under the “Make in India” programme. Rosoboronexport is looking at local private companies as possible partners to work on projects to strengthen the defence capabilities of the Indian armed forces. Goreslavsky said, “all this raises the problem of properly selecting companies, as these will determine the success of every project, as well as its cost-effectiveness. To enter into in a joint venture project means to share responsibility for its future, including commercial success,” he stressed. To give a “Make in India” project a legal basis, establish conditions under which not only the private sector, but also the state will assume accountability, Rosoboronexport proposes strategic projects that will function on the basis of intergovernmental agreements. The pilot project that involves production of Russian Ka-226 helicopters in India will be the first to meet the requirements under this principle. Work will be carried out on this project in accordance with the intergovernmental agreement signed in December 2015.The state-owned Hindustan Aeronautics Limited would be the nodal agency in India, said Goreslavsky. 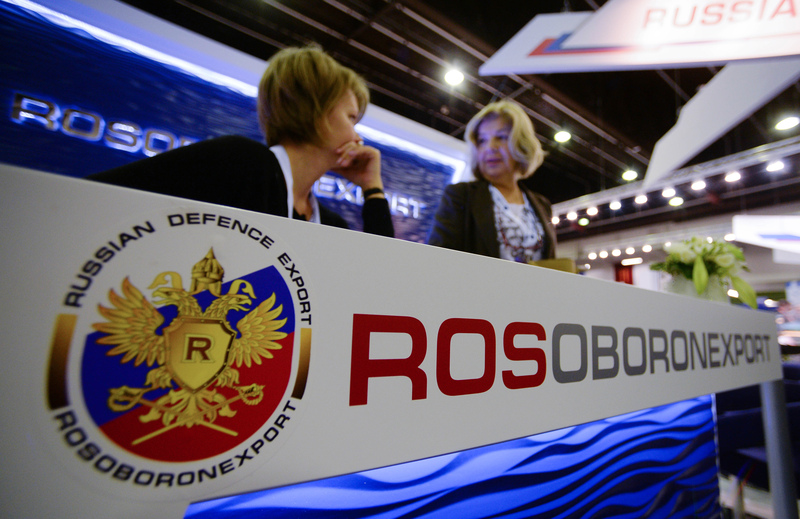 According to Goreslavsky, a network of integrators from the private sector sphere is being readied, with whom Rosoboronexport held talks during the exhibition. The Indian partners were particularly interested in the Russian comprehensive security system, presented by Rosoboronexport. This concept was developed on the basis of domestic and international experience, and includes a wide range of facilities, including the “Secure City” system; special technologies to monitor the borders, ensure the security of objects, identify various attributes of individuals within the framework of counter-terrorism activities, as well as to monitor the violation of state borders. This comprehensive system ensured security at the Sochi Winter Olympic Games in 2014. Now it has developed greater depth and Moscow hopes that customers will be able to use it in specific parts, rather than the entire system at once. The comprehensive security system is a broad concept, which consists of special small arms, special vehicle protection equipment, small helicopters of the ANSAT or Ka-226 class, as well as mobile centres to organize security operations in remote locations, especially important in mountainous areas, said Goreslavsky. At the exhibition, one of the most acclaimed Russian-Indian projects – the fifth-generation fighter aircraft (FGFA), was also discussed. During talks with the Indian Defence Minister, both sides again confirmed their intentions about the project, and said work on it should be accelerated. Goreslavsky emphasized that the project requires involvement of a large number of experts from each country, because it is a very high-tech product. India’s technological capabilities are being factored in and everything is going according to plan. A draft contract is now being prepared for the design and experimental work. This will be an important step, after which a “road map” will be developed for production of the aircraft. Both countries are interested in speeding up this process. “But one should not get ahead of oneself, and that is why we have to first agree on everything, all the way to the last screw,” said Goreslavsky.